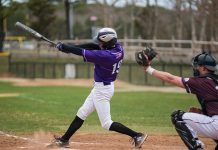 West Tisbury Hawks caged, 47-41. 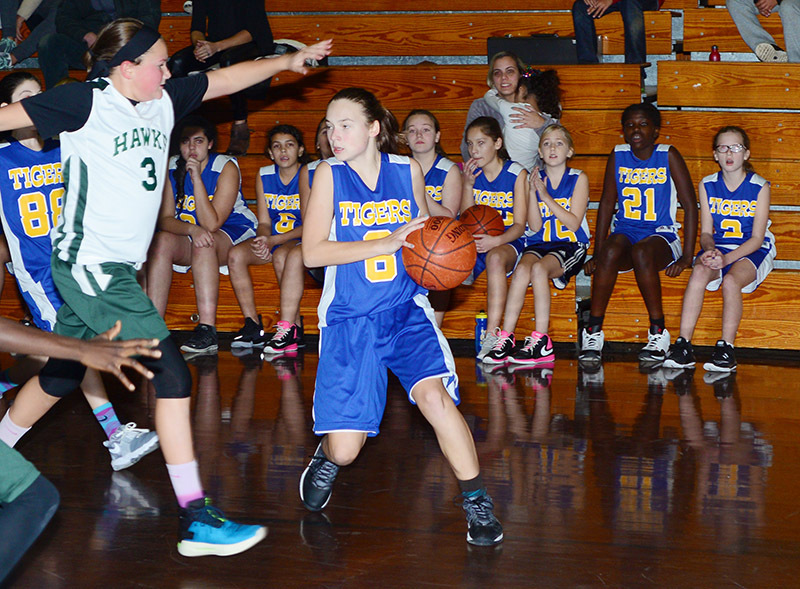 The Tisbury Tigers Middle School girls basketball team, led by Braedyn Clark’s 32 points, held off a tenacious West Tisbury Hawks squad, en route to a 47-41 victory Thursday night at the Tisbury school gym. 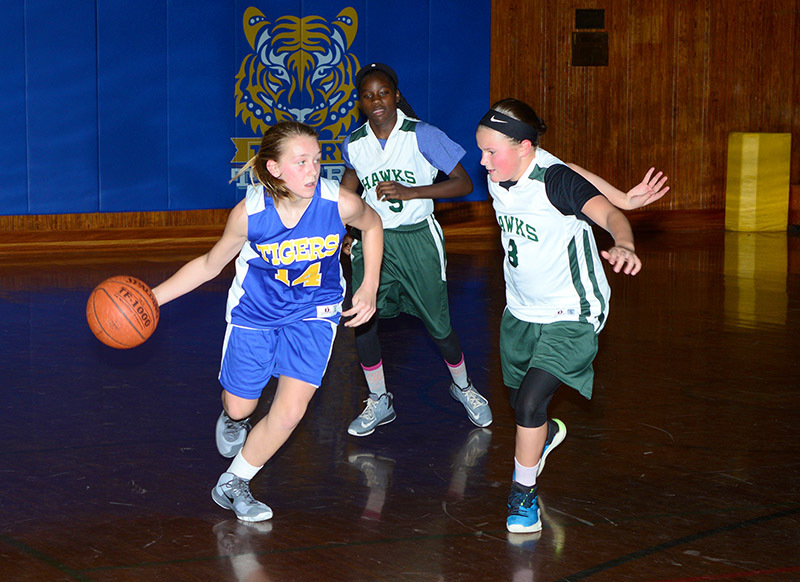 Ms. Clark become the talk of the early going this year after pouring in 47 points to lead the Tigers past the defending champion Edgartown Eagles by a 67-45 count in the season opener this week. 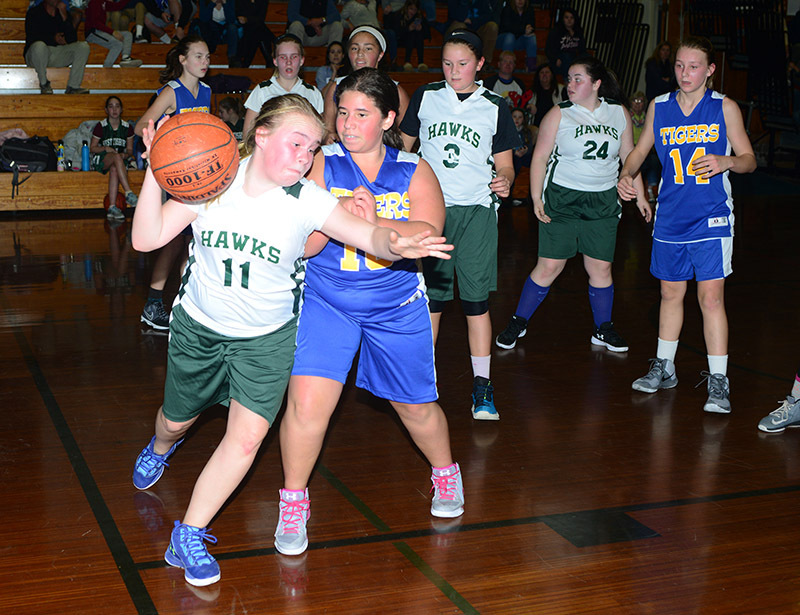 The Hawks double-teamed and harried Ms. Clark, sending her to the foul line where she made 11 of 14 tries, more than enough for the margin of victory. The well-balanced Hawks squad got terrific play from sisters Andrea and Juliet Morse. 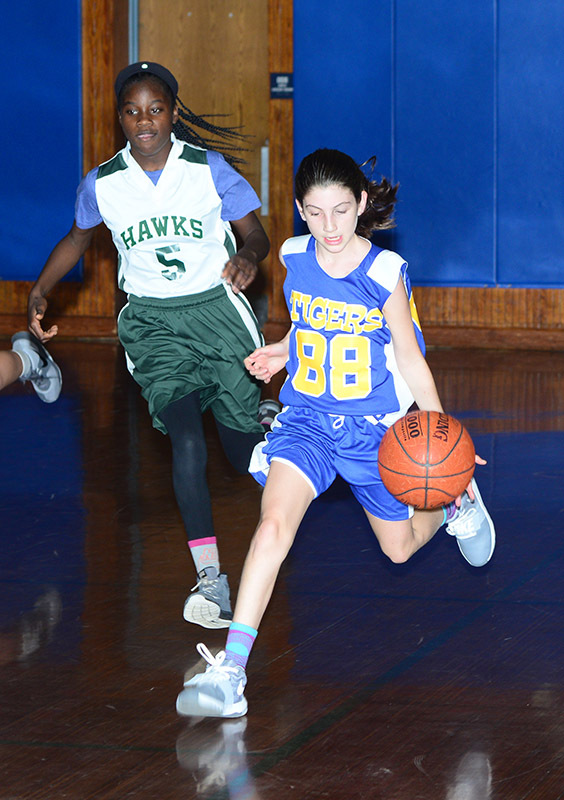 Andrea had 12 points and her sister three points, all contested shots in the paint, as they dominated the offensive boards. 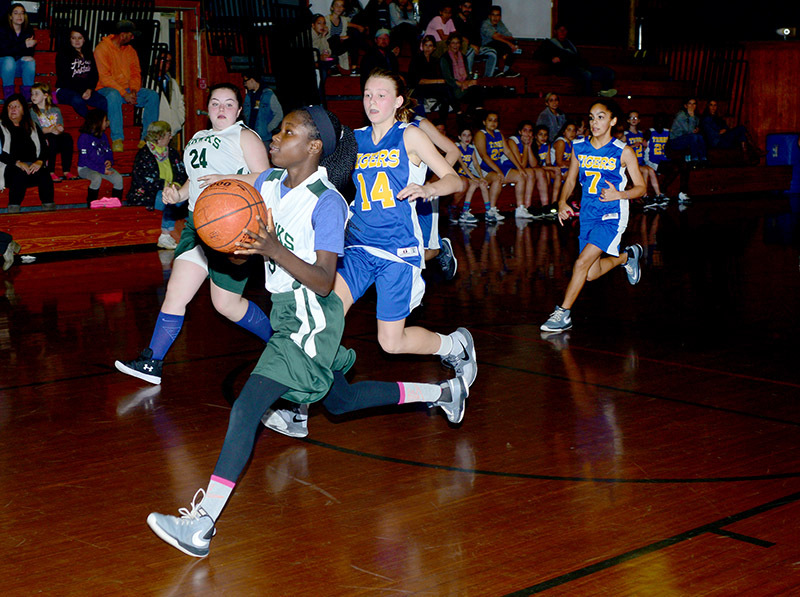 The Hawks game plan included feeding speedy point guard Wadeline Florin-Hall, who scored 12 points on outlet pass breakaways. 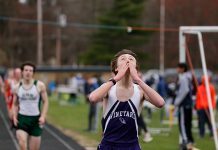 Josie Welch had 10 West Tisbury points, and Emily Maciel scored two points before leaving the game early in the second half with a lower leg or ankle injury. 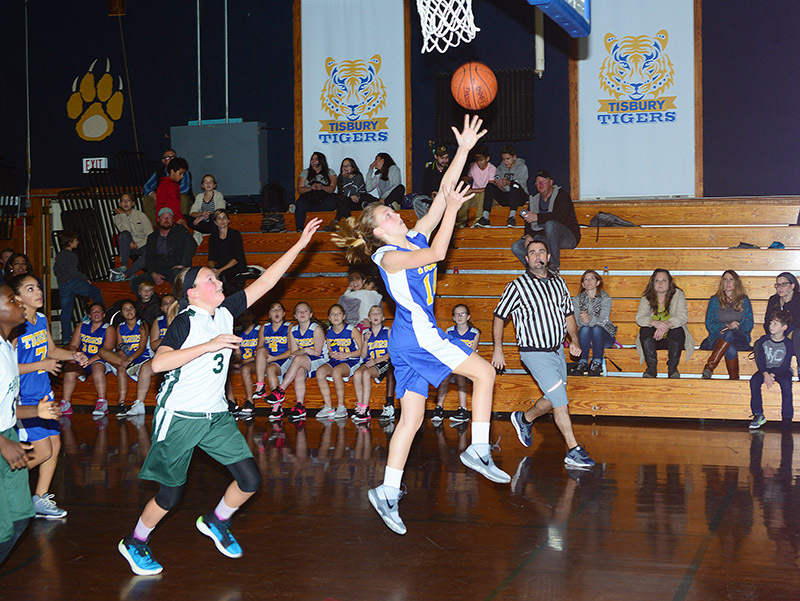 The Tiger strategy to contain Ms. Clark and to pack the point allowed Tiger outside shooters Alana Nevin (eight points) and Isabelle Ribeiro (two points) to convert good looks. Kat DeSorcy (10 rebounds) and Katlin Dos Santos, with ferocious defense and a key late bucket, stemmed a late Hawks surge.